Connie’s Blanket. A Colourful Crochet Granny. 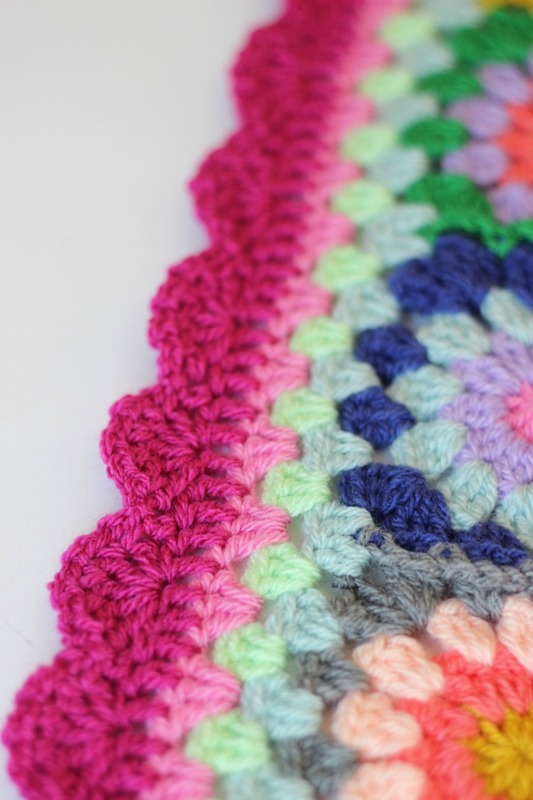 It feels like this pretty crochet granny blanket has been in the making for aaaaggess. Relatively speaking that’s probably not true. I started it because I had leftovers from the Crazy Chevron blanket I made back in February. Trying (unsuccessfully) to reduce the stash has been the aim for quite a while. For this chap, a few colours were swapped depending on what there was most of in my “collection”. I only bought two balls extra. If you watch my crochet podcast you’ll have heard me go on about this in nearly every single episode! I thought you guys might be interested in a blog post too and it’s a good idea to have all the info in one place. So here we are! 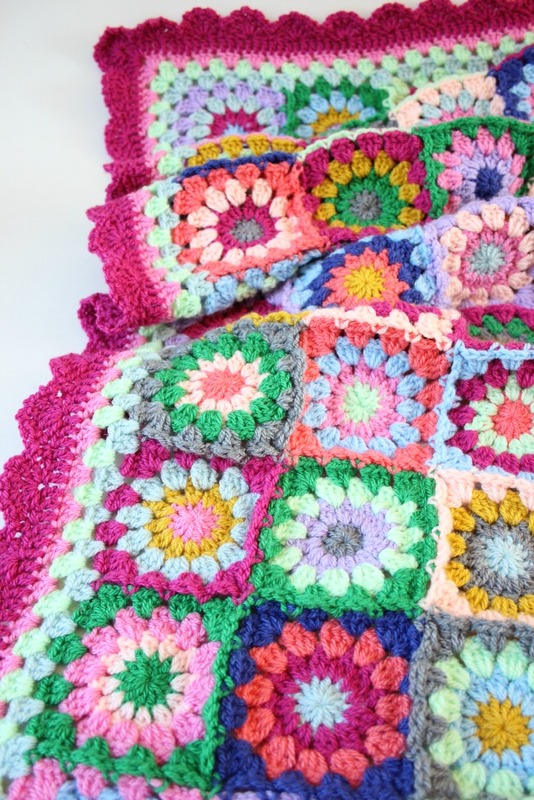 This colourful creation is now called Connie’s Blanket. I didn’t know when I started, that it would end up as a birthday present but at some stage or other it decided (not me), that that was what it was! 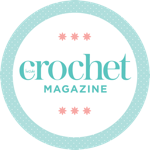 Crochet Circle pattern. The difference in Connie’s blanket is that I used a magic ring to start each circle and I added no chains between the trebs (US dc’s) of the first round. Oh, and no double trebles on the joining round, just some trebs. Zeens and Roger on YouTube, pick an and episode, any episode… I’ll probs be talking about it! I made all the inner circles first (well, most of them – I kept adding more when I saw I had enough yarn for more rows), then evenly distributed those between the shades. I haven’t checked but I reckon they’re all unique. The border is dead simple. Three rounds of Grannies, 1 row of trebles and a scallop edge. To jazz up the edge a bit more I ended up doing this: Starting in a dip: *(ch2, 1dc after next treble) x4, ch2, 1ss in the dip between scallops; rep from *. I think that’s right but give me a shout if it’s weird! And that’s pretty much it. Blankets like these are one of my favourite things to crochet. I don’t know why, they just are! What about you? How do you get on with granny blankets?! I know some people think they’re naff and old fashioned but I can’t help but love em! Crochet Podcast Episode 10. There’s a Giveaway too! What a gorgeous blanket, a very lucky recipient! 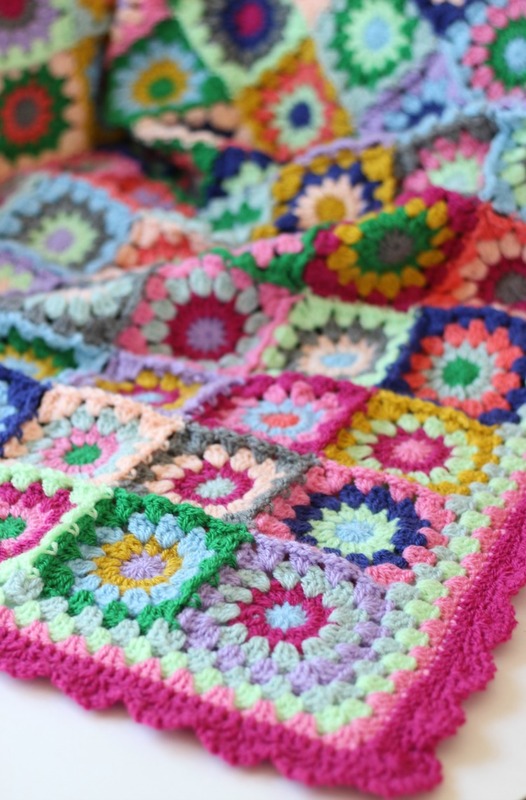 I really love granny square blankets although I don’t like all the sewing together of the squares, doing it as you go along sounds like a great idea. I’m currently making a blanket that is just one big granny square. Super pretty! I love granny squares! Wow, utterly gorgeous colour and pattern. I’m making one where every square is the same colour, which seemed quite a classy idea but is beginning to bore my thingies off 😦 You’ve inspired me to finish it so I can get back to the fun stuff! You know I have never done a blanket that has to be joined up, I really should try one ! I love the border such a great way to finish such a beautiful blanket! Thank you ever so much! 😀 Borders are often my favourite bit! Gorgeous! I’m making a scrappy blanket at the moment in a ripple design. It’s amazing how nice the colours are blending in to one another, considering it’s all leftover yarn. This looks amazing… Lucky Connie! I love how you made every circle different, and WOW, those colours! Nice one! Thanks so much!! I’m just relieved she likes her blanket as much as I do!! So gorgeous! I love all the colors they play very well together.